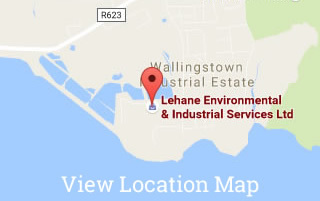 Lehane Environmental can provide legal on-site treatment of your interceptor waste using state of the art equipment. The unit is fully computer controlled with on line analysers which shut the unit down in the event of failed discharge levels. 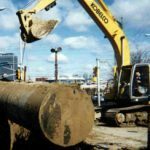 Petroleum Tanks can be highly volatile and so safety is of paramount importance to ensure the safety of site personnel and the general public. Lehane Environmental’s procedures for the cleaning of petroleum tanks are certified under our OHSAS 18001 Health & Safety Management System. 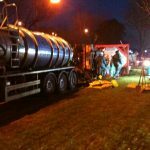 Lehane Environmental’s specialist tank cleaning team can provide for the safe decommissioning of all underground storage tanks (USTs). 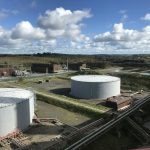 We are recognised nationwide as the industry leaders in safe decommissioning procedures and have been called in to many sites after contractors have attempted to decommission tanks with disastrous results. 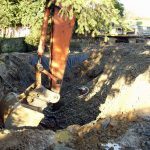 Contaminated soils are encountered on many sites as a result of uncontrolled discharges, spillages or historical activities. Contamination levels and contaminants vary and so different remedial options are available. 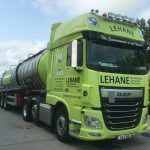 Lehane Environmental provides a 24 Hour Emergency Spillage Response Service to all sectors of Irish Industry. 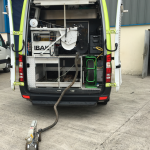 We maintain a range of specialist equipment which can be on route to the relevant site at short notice.